While the grand finale of my “Assimilation” series continues to percolate, we will take a diversion back, again, to my favorite topic – FOOD! Produce – in Italy YOU weigh your own produce. First, you take a pair of provided disposable plastic gloves, then you select your fruits/veggies and put them in a bag, you pay attention to the number on the bin as you will input it into the scale, you put your item on the scale, punch in the correct code, and out prints a label with the item/weight/price which you affix to the bag. (As an aside, at the markets you never touch the produce, you ask the proprietor for what you would like). For stranieri who don’t know the system and just put stuff in a bag and take it to the checkout, rolled eyes and a trip back to the produce department await. 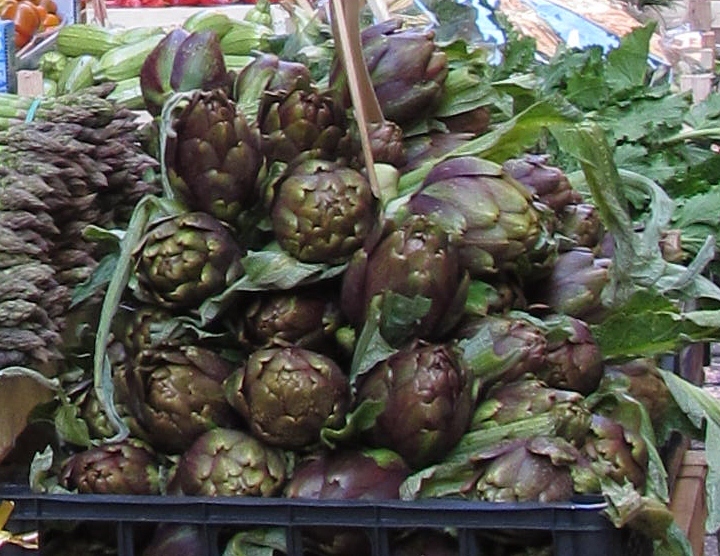 However, as I discovered, there are exceptions… One day I was buying artichokes (actually I bought artichokes MANY times – they are locally grown, plentiful, delicious and cheap) – I could not find a number on the bin anywhere – I searched and searched – leaving me with the dilemma of either giving up my beautiful artichokes or going to the checkout without a properly affixed tag…. Of course I wasn’t giving up my artichokes! At that point I learned that some items have a fixed price per item and you needn’t weigh them (hence the missing number). I got through checkout happily WITH my prized vegetable and WITHOUT having suffered any scorn! Product selection – the grocery stores in Italy are pretty comprehensive, even more so since just a few years ago when we were there. You can get almost anything you can get here (plus a ton of things you can’t get here). 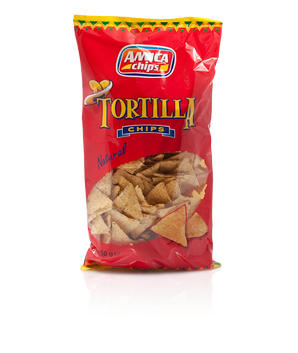 You can even get Italy’s version of tortilla chips (“Amica Chips”), though they taste nothing like what you expect a tortilla chip to taste like. It’s hard to explain – they have the same 3 ingredients – corn meal, oil and salt – yet they taste like slightly charred polenta and not at all like a Tostitos… In any case, back to the main cultural difference… You CANNOT buy any kind of medication whatsoever at a grocery or any other kind of store other than a “Farmacia.” Nothing, nada, niente – no ibuprofen, no sore throat spray – nothing. Any medicinal-like product at all requires a trip to the pharmacy and a request to a pharmacist (and a king’s ransom – 8 ibuprofen cost about as many dollars – the trade-off being, of course that doctors and prescriptions are free). Checkout – this one still cracks me up. In Italy, the checkout people sit in chairs and YOU are responsible for just about every part of the operation from unloading your cart to putting it away AND sacking your own groceries (either in the bag/cart you brought, which is the norm, or you have to ask for plastic bags for which you are charged). And remember, you’ve already labeled and weighed everything as well. (You can take it a step further and use a self checkout lane, which are much more commonplace than the ones popping up here). While to us this may seem like a serious lack of customer service, it actually makes the (very long) lines go faster. There are 2 sides where checked foods go, so while you are sacking your groceries the checkout person is already ringing up the next customer (and not having to weigh anything) and just putting their groceries down the alternate side. Personally, I love grocery shopping in Italy. I feel like I am on a cultural excursion each and every time. Not just because of the subtle differences in the process, but of course because of the selection of foods and the subtle differences even with similar products (portion size comes to mind). Once I discovered the secret to shopping in Italy (go early to avoid the crowds), I looked forward to running out of things as an excuse for my next field trip. I felt a bit defensive in class one day after we learned the difference between “fare la spesa” and “fare shopping.” “Fare la spesa” signifies “doing the shopping,” but with an air of chore to it (it was explained as shopping you have to do – for food, cleaning supplies, etc. ), whereas “fare shopping” entails the “fun” kind of shopping (for clothes, shoes, etc.). One day a teacher asked a student what she did for fun over the weekend and when she said “fare la spesa” everyone giggled and her misuse of the language was corrected (fare shopping). I still take issue with those definitions!